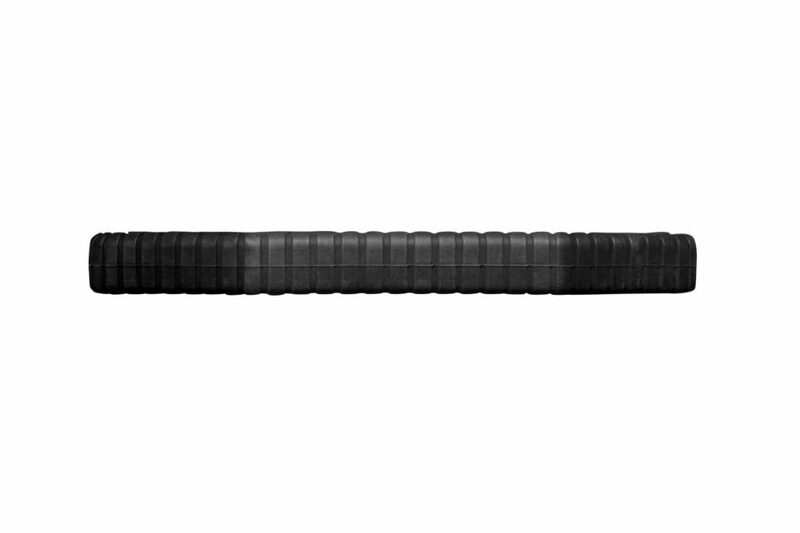 Rugged, tough and built to take whatever the road dishes out — So Cool is rattle-free, easy-to-clean and dependable as the day is long. You get advanced technology with multi-level backlight and great tactile feedback for a die-hard trooper you’ll be proud to ride with. 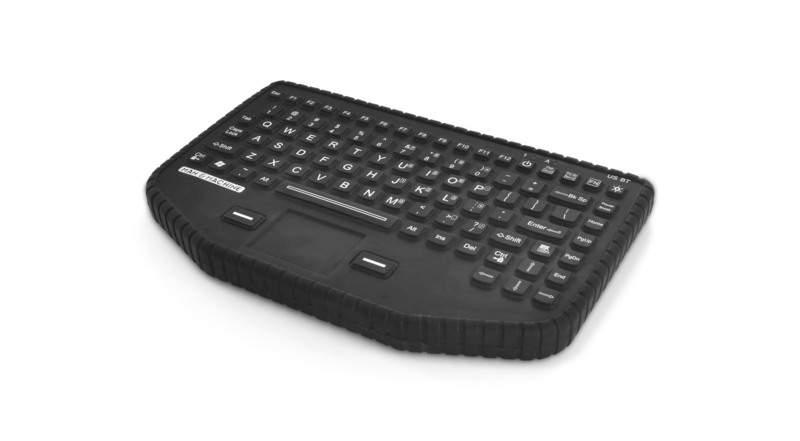 This in-vehicle keyboard's exterior is constructed out of a single, solid piece of silicone, meaning it is food/drink proof and has no moving parts to fail. It easily attaches to all major mounting systems, making it an easy addition to the equipment you presently have in your vehicle. 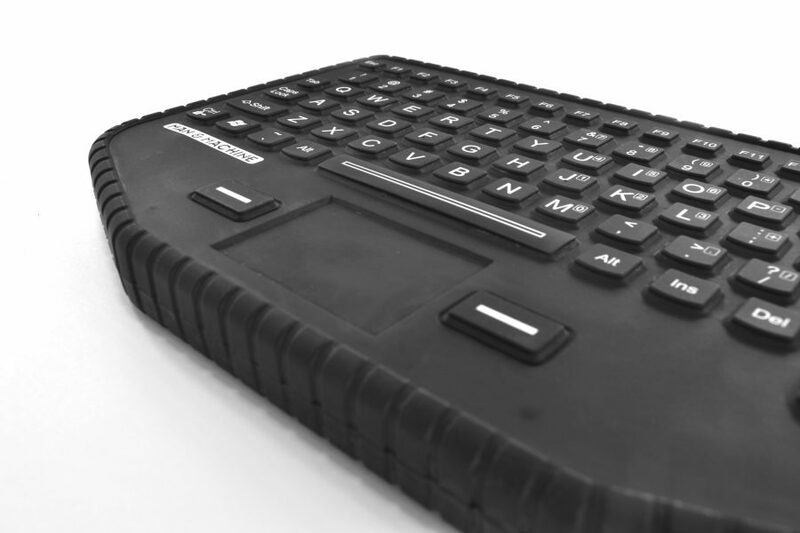 The So Cool Keyboard is a perfect car keyboard for police, fire, and EMS vehicles. Most silicone keyboard have one big weakness: Oil. If your crew has greasy hands or works with oil, gun grease or anything else, then the So Cool is a solution for you. 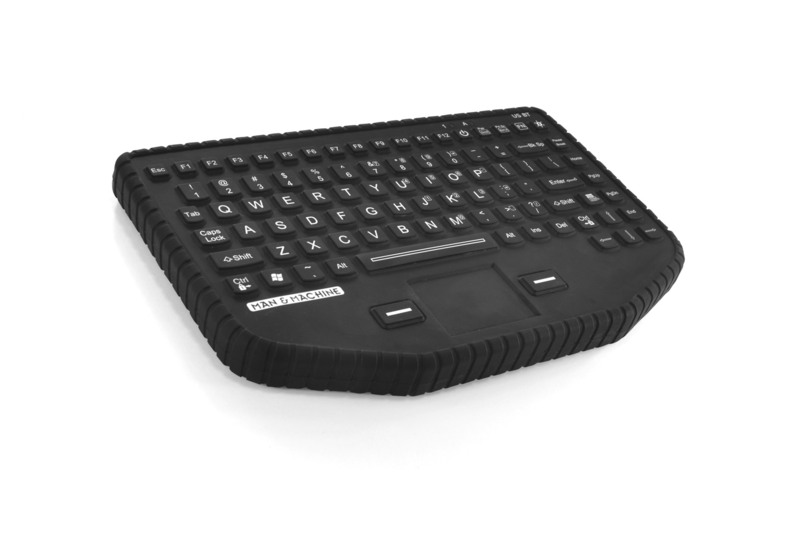 The So Cool Keyboard will find its self at home in police cars, ambulances or factories were oil and grease are found. 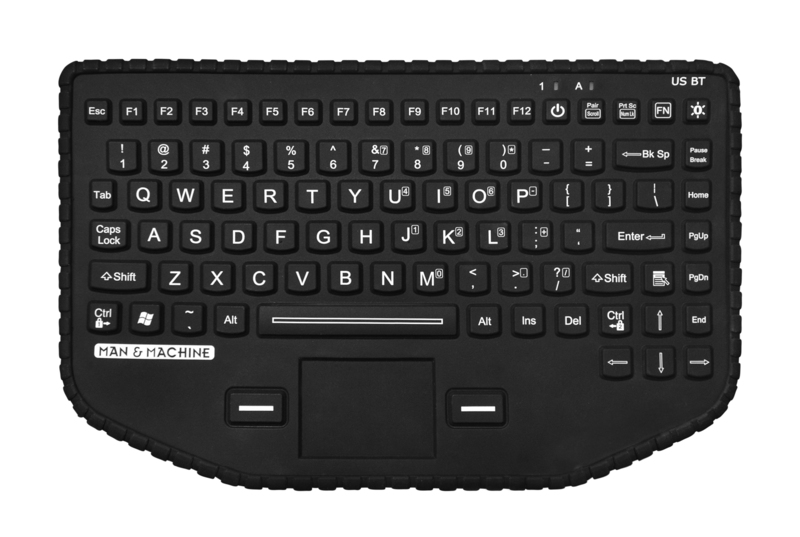 Typing at night or in low-level environments does not need to be a hassle. 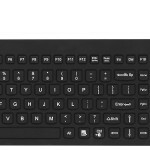 The So Cool Keyboard has a special multilevel backlight with LED bulbs built in behind each and every key. Our specail system lets you tap the backlight button until you find the perfect level of brightness. From then on, you can tap the button to turn on, and tap the button again to turn the backlight off. SKU: SOCOOL/BKL/OR/B5. Categories: Waterproof Keyboard Product Line, Specialty Products, Laboratory Keyboards and Mice, Oil Resistant Keyboards For Factories, Industrial Keyboards - Oil Safe, Police Keyboards And Mice.